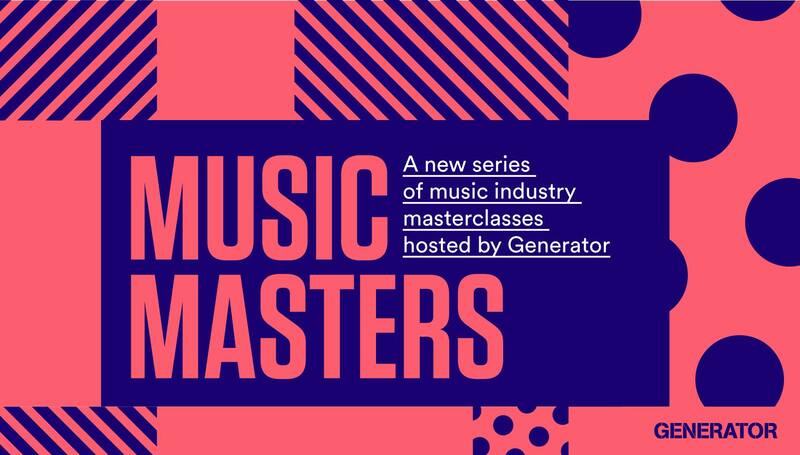 Generator and Tipping Point are set to present another music business masterclass, as Music Masters comes to Toffee Factory on Thursday 25th January. These high octane talks have been a revelation so far, covering all things industry from touring to branding, gigs to labels, self-releasing to publishing and everything in between. In the second instalment of the Music Masters series, Get The Gigs offers an insight into live music in a day long event. A hand picked panel of experts offer up their wealth of experience, and you’ll leave with a better idea on the practicalities and meticulousness needed to tour. Whether you are a performer, promoter, or an artist manager, within this masterclass, you will acquire the knowledge to adequately curate your own events and tours, or become a viable option for existing events, agencies and tours. Alongside this, the panel will offer an insight into industry etiquette, ensuring you appear professional to booking agents and venues alike when looking for gigs. The panel includes Joe Schiavon of Live Nation UK, Harriet Hall of The Old Blue Last, Sebright Arms, Ben Ryles of DHP Family and Conor Ferris of SSD Concerts, Gigs North East with other guest speakers are to be announced in the coming days. The Generator Masterclass, Get The Gigs is at Toffee Factory, Newcastle on Thursday 25th January.